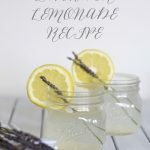 Feel like you’ve seen this recipe before? Then either you’ve been following me since day one (woo hoo!) 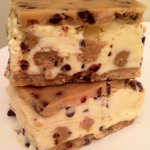 or you’ve back-stalked my site enough to know I posted this same recipe right when I started my blog. Either way, I love ya! 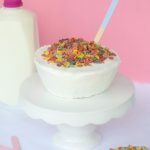 I posted this recipe when about three people were following my blog & I was too cool to capitalize any words on my posts. So now that my traffic has increased substantially & I have a much better idea of what I’m doing, I decided it was definitely worth resharing. 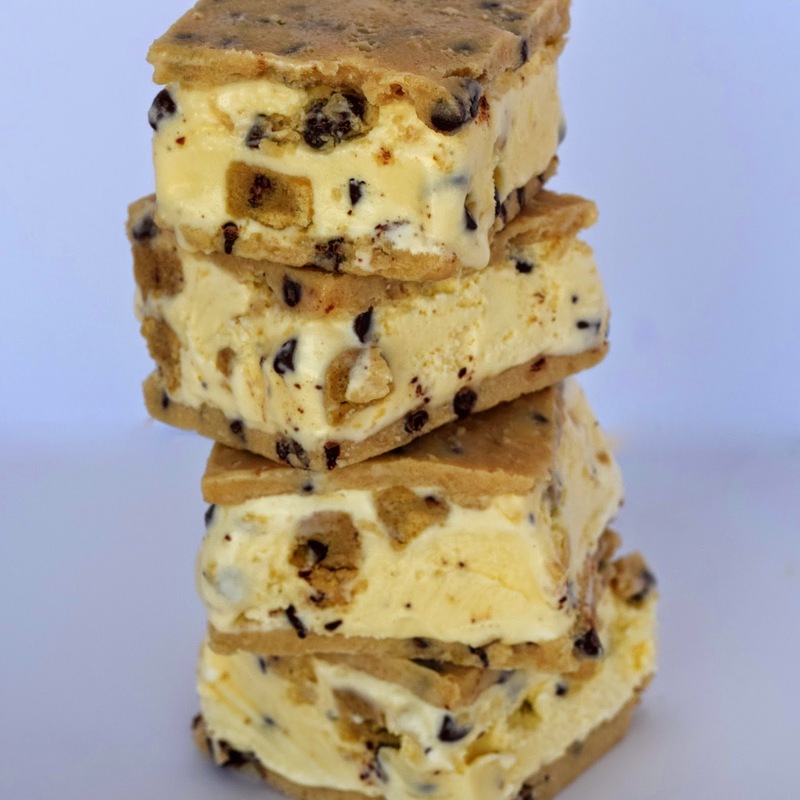 Possibly the easiest & most drool worthy recipe I’ve made to date, these cookie dough ice cream sandwiches are a hit with everyone! 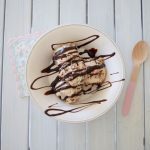 Combine sugars, milk, vanilla, salt, butter, & chocolate chips in mixing bowl or with electronic mixer until completely incorporated. Line 8x8 baking pan with parchment paper. 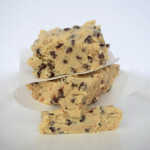 Place half of the mixed cookie dough into the baking pan & flatten until the pan is fully covered with an even layer of dough. 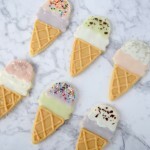 Spread desired amount of ice cream evenly over the flattened dough. Smooth ice cream out evenly using the bottom of a large spoon. Place pan in freezer for 30 minutes. 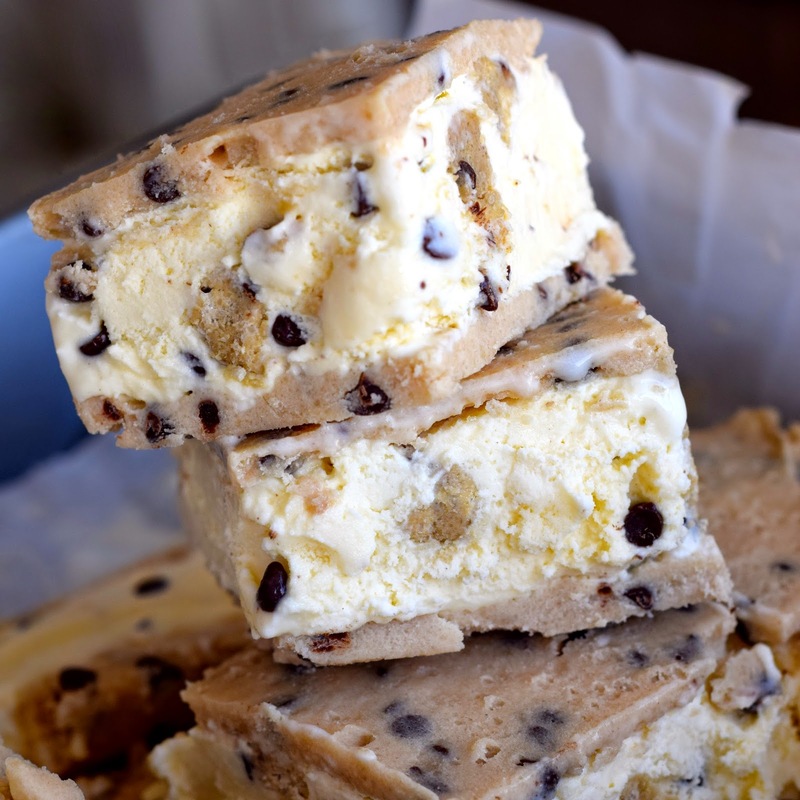 Place the other half of the cookie dough on top of ice cream. 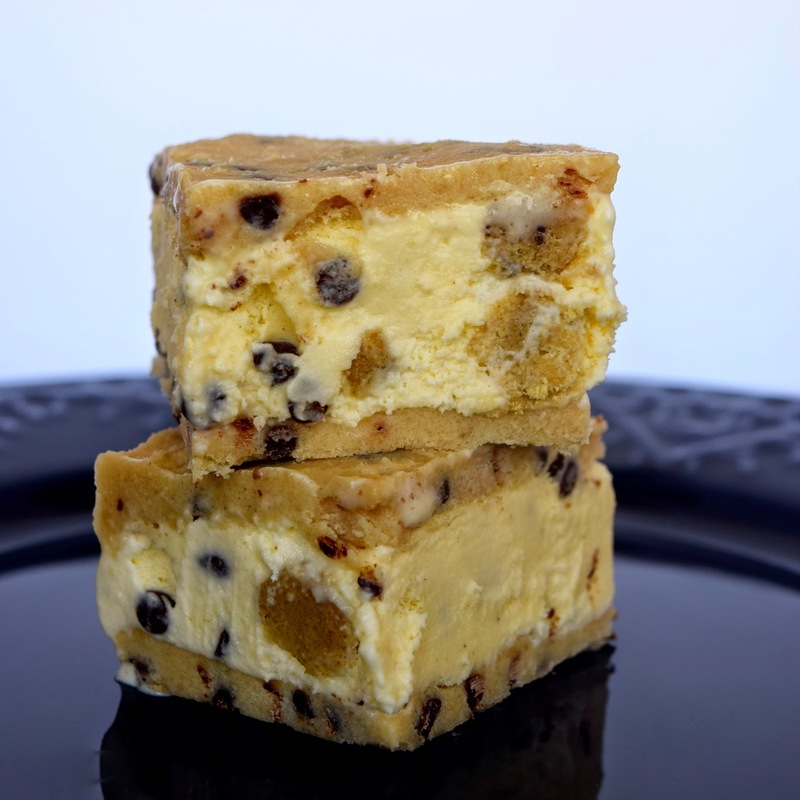 Gently press your hands down upon the top layer of cookie dough. Cover pan with parchment paper & freeze for 3-4 hours or until firm. 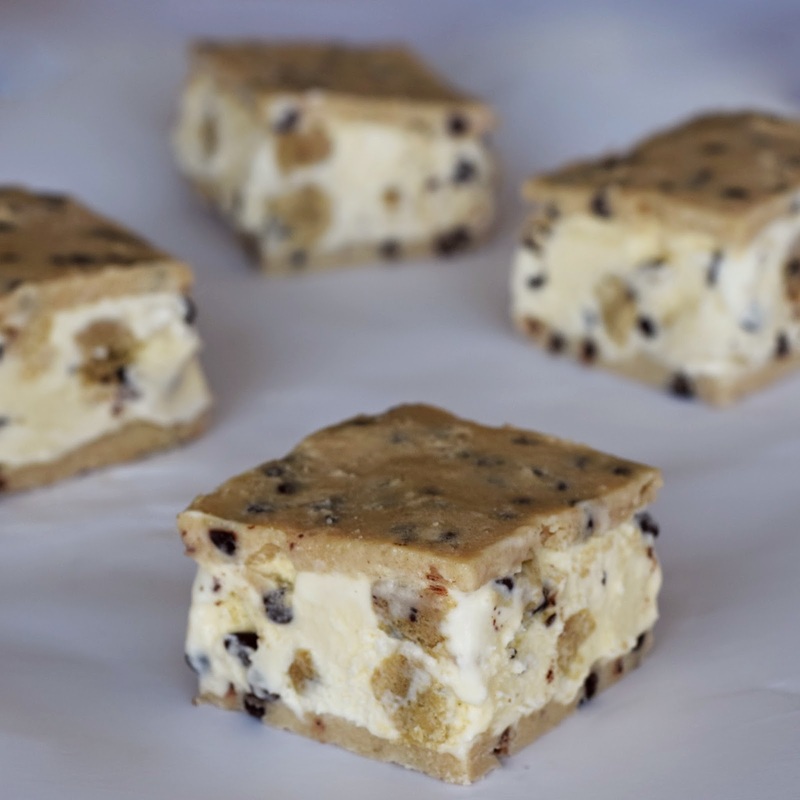 Cut frozen ice cream cookie dough into desirable size sandwiches. Enjoy!